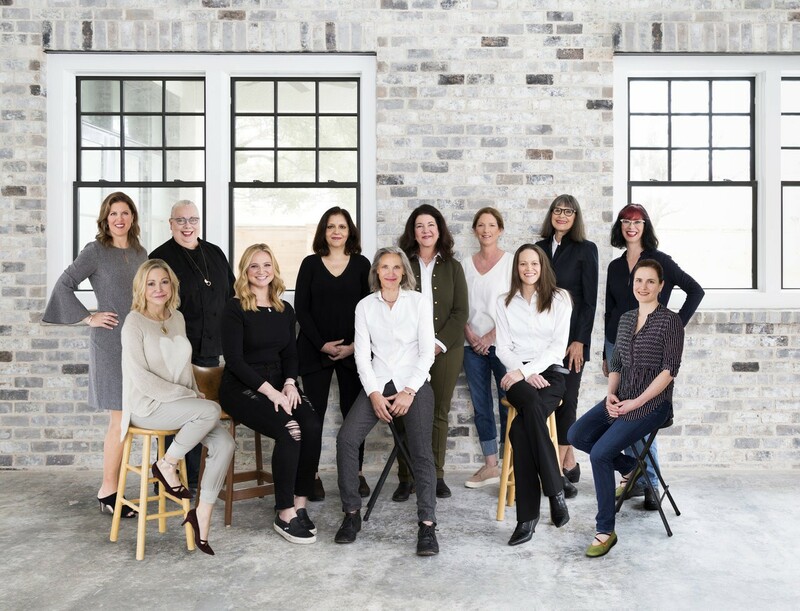 Members of I'll Have What She's Having include back row, left to right: Barbara McKnight (Culinaire), Lynette Hawkins (Giacomo's), Anita Jaisinghani (Pondicheri), Tracy Vaught (HTown Restaurant Group), Claire Smith (Alice Blue, Canopy), Janice Schindeler, (Words & Food) and Lisa Seger (Blue Heron Farm). Front row, left to right: Mimi Del Grande (Schiller Del Grande), Erin Smith (Feges BBQ), Monica Pope, Jamie Zelko (The Ivy & James) and Lindsey Schechter (Houston Dairymaids). Photo by Julie Soefer. Proceeds will fund essential women’s health services at Legacy Community Health, Texas Children’s Hospital (TCH), The Rose and Planned Parenthood Gulf Coast (PPGC). Hosted by Choi, Tracy Vaught, Gracie Cavnar and Mimi Del Grande, the benefit offers three opportunities to support the cause at different price points. More than 30 chefs, 23 wine or spirit specialists and dozens of front of house professionals will participate. Here’s a breakdown of each event. Note that each is a stand-alone with separate tickets. Participation in one does not gain access to the others. Guests will have open access to seven cocktail, beer and wine stations, with passed small bites by up-and-coming culinary stars, including Kaitlin Steets (Theodore Rex), Madelyn Lester (Nancy’s Hustle), Mary Cuclis (Pondicheri) and Patricia Burdette. This portion takes place from 4 to 6 p.m. and costs $99 per person. Guests can purchase a picnic basket for two people featuring a portable dinner with locally sourced ingredients. (Note that the food is chilled, not hot.) Dishes are crafted by Barbara McKnight (Culinaire), Janice Schindeler (Words and Food) and Claire Smith (Canopy, Alice Blue). The basket includes reusable utensils, plates, shopping bag, mocktails, beer and wine. This option begins at 6:30 p.m. and costs $250. Guests participating in either the Amuse Bouche or Al Fresco portions can also bid on silent auction items. This is a three-course dinner—and the most expensive event of the day—featuring ingredients raised by local farmers. 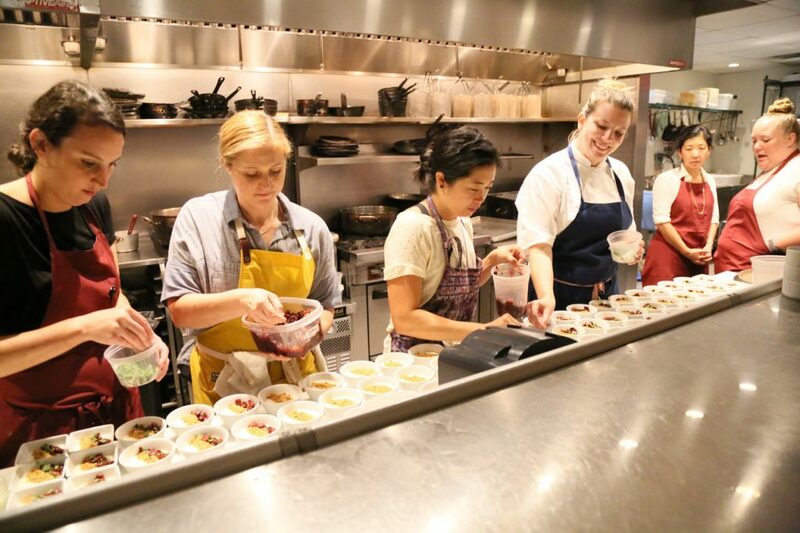 The meal is being prepared by Anita Jaisinghani (Pondicheri), Erin Smith (Feges BBQ), Jamie Zelko (Zelko Concepts), Lynette Hawkins (Giacomo’s) and Monica Pope (Sparrow Cookshop). Sommeliers Vanessa Trevino Boyd and Monica Townsend are pairing the dishes with wines produced by women and women-owned wineries. The banquet reception opens at 5:30 p.m and dinner begins at 6. There is also a live auction starting at 7:30. The cost is $500 per person. From the I’ll Have What She’s Having pop up at Coltivare. Left to right: Kate McLean and Erin Smith (Feges BBQ), Karen Man (Public Services Wine & Whisky, OKRA Charity Saloon), Kaitlin Steets (Theodore Rex), Dr. Lori Choi and Layne Cruz (Revival Market). Photo by Cecilia Norman. The gala comes on the heels of several pop-ups over the last year that have so far raised more than $30,000. The group hosted events at Coltivare, Blue Heron Farm, Underbelly, Giacomo’s and Paulie’s. Tickets for the events may be purchased online.